Kentucky Family Law: Can A Parent Refuse Visitation If Child Support Is Not Being Paid In Kentucky? April 29, 2017 /in Kentucky Family Law /by Daryle C. Tibbs Esq. https://tibbslawoffice.com/wp-content/uploads/2011/07/Family-Law-Keyboard-110717-sm.jpg 267 400 Daryle C. Tibbs Esq. https://tibbslawoffice.com/wp-content/uploads/2016/02/logo-300x74.png Daryle C. Tibbs Esq.2017-04-29 12:44:002018-01-22 19:29:37Kentucky Family Law: Can A Parent Refuse Visitation If Child Support Is Not Being Paid In Kentucky? Kentucky Family Law: What Is Sole Custody In Kentucky? April 20, 2017 /in Kentucky Family Law /by Daryle C. Tibbs Esq. https://tibbslawoffice.com/wp-content/uploads/2011/07/Family-Law-Keyboard-110717-sm.jpg 267 400 Daryle C. Tibbs Esq. https://tibbslawoffice.com/wp-content/uploads/2016/02/logo-300x74.png Daryle C. Tibbs Esq.2017-04-20 17:51:092018-01-22 19:36:37Kentucky Family Law: What Is Sole Custody In Kentucky? Kentucky Family Law: What Is Joint Custody In Kentucky? April 12, 2017 /in Kentucky Family Law /by Daryle C. Tibbs Esq. https://tibbslawoffice.com/wp-content/uploads/2011/07/Family-Law-Keyboard-110717-sm.jpg 267 400 Daryle C. Tibbs Esq. https://tibbslawoffice.com/wp-content/uploads/2016/02/logo-300x74.png Daryle C. Tibbs Esq.2017-04-12 15:43:442018-01-22 19:39:30Kentucky Family Law: What Is Joint Custody In Kentucky? 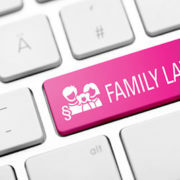 Kentucky Family Law: In A Kentucky Divorce, Who Will Get Custody Of Our Children? April 6, 2017 /in Kentucky Family Law /by Daryle C. Tibbs Esq. https://tibbslawoffice.com/wp-content/uploads/2011/07/Family-Law-Keyboard-110717-sm.jpg 267 400 Daryle C. Tibbs Esq. https://tibbslawoffice.com/wp-content/uploads/2016/02/logo-300x74.png Daryle C. Tibbs Esq.2017-04-06 11:53:222018-02-14 15:38:44Kentucky Family Law: In A Kentucky Divorce, Who Will Get Custody Of Our Children?